Just a reminder that you have until Saturday, December 15th at midnight EST to enter the House Mouse and Friends Monday Challenge. Our theme for this challenge is LET IT SNOW. You can get all the information and lots of inspiration at the challenge site. There is a $25 voucher, for Simon Says Stamp's online store prize for one lucky random winner. I made a shadowbox card with lots of glitter and snowflakes. 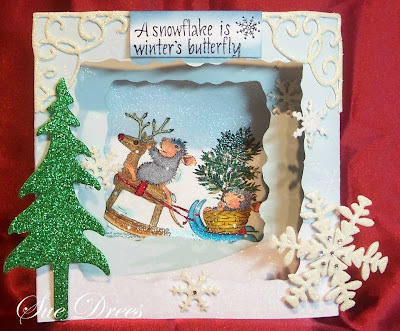 Snowflake, corners and tree are cut from glittered fun foam and dies. Have a great Monday, and come on join us at the House Mouse and Friends Monday Challenge. Love these little guys and your whole layered scene. Your extras are all very nice. I really like the corner adornments up the top. Enjoy your day. Wonderful winter scene you have created with this cute image. Lovely colouring. this is a beautiful card with the house mouse. super! the lay-out of your card is great!! 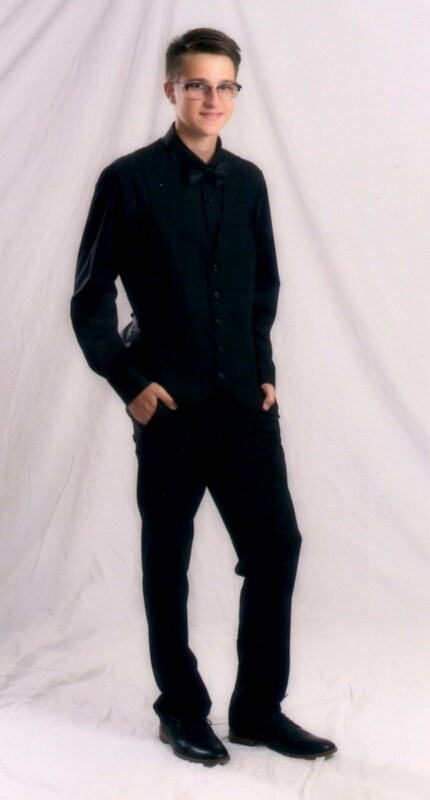 I must look very good how you made it. That shadow box is a great idea for this image. Another job well done Sue. This is such a fabulous card Sue and so love that image of them mice!! They are so beautiful Sue! !I really liked! Have a wonderful Christmas! Super cute! Your window scene is adorable, beautiful coloring and design Sue. 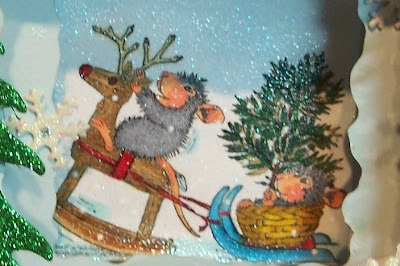 Delightful card, I love that house mouse image and your fabulous winter scene!